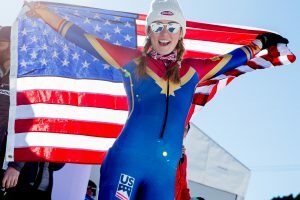 St. Moritz, Switzerland – The 19-year-old German ski racer gave a tug on the laces of her leather boots, clicking them into the cables on her long wooden skis. Behind her was the towering Piz Nair, the iconic peak on Corviglia at St. Moritz, high in the Swiss Alps. 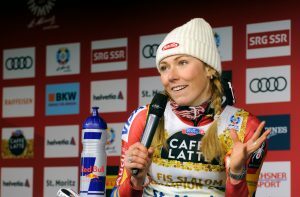 Shiffrin came to slalom day with a different look about her – hair braided into two pigtails, reminiscent of one of her slalom ski racing heroes Janica Kostelic of Croatia, who won the World Championship slalom in 2003 at St. Moritz. 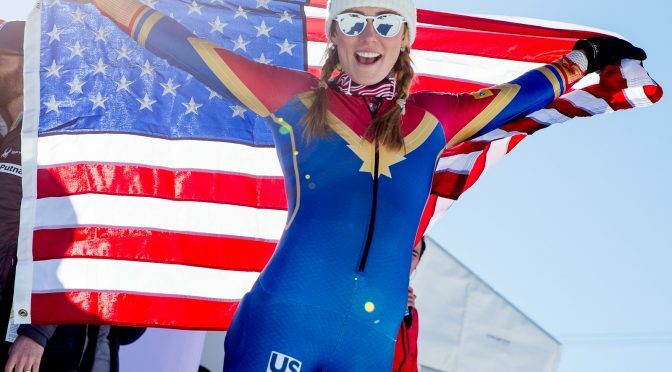 The two braids had brought her out of a funk two years ago when she had a slow start to the season before finally winning in Kuhtai, Austria on the eve of the World Championships at Vail/Beaver Creek. While Shiffrin had a first run lead, the race is never over until the final gate. Swiss Wendy Holdener was only .39 back. Any simple mistake could spell the difference. Holdener would run 29th, Shiffrin 30th. And Holdener put down a strong run. 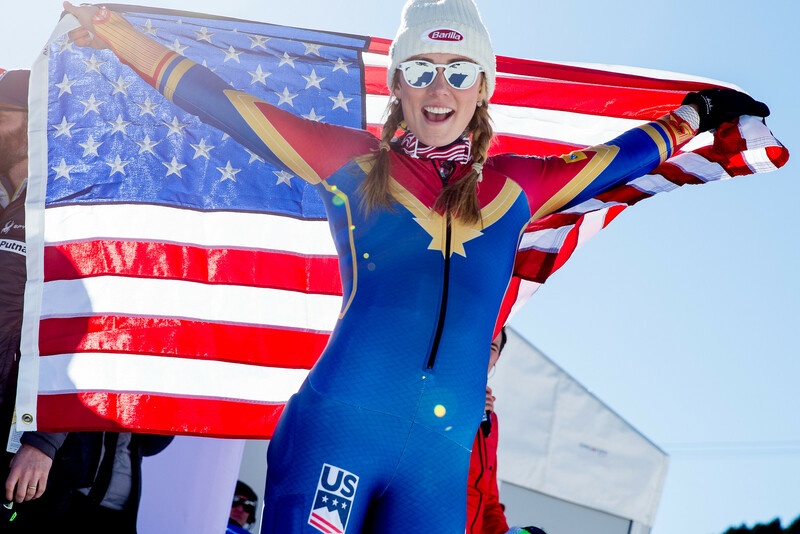 As an 18-year-old four years ago in Schladming, Austria, Shiffrin broke through to win her first gold by .22 over home country favorite Michaela Kirchgasser. Two years ago, she withstood the pressure of a hometown World Championships to repeat the title by .34 over Sweden’s Frida Hansdotter. In St. Moritz, Holdener had now put down the gauntlet with a solid run that ignited the hometown crowd. Split by split, the light went green. Despite being 30 racers into a softening race course, Shiffrin continued to build her lead. And coaches knew the best was yet to come. In the first run, her entire lead was captured on the flat bottom split. And she did it again on the second run, crossing the line 1.64 seconds ahead of Holdener – an unimaginable margin. Christl Cranz would have been proud.